I hope everyone had a fun and safe 4th. An update for me is that I am beginning to pack to move into my new place in a couple weeks! As I have been doing this I have been finding craft supplies and other random objects. 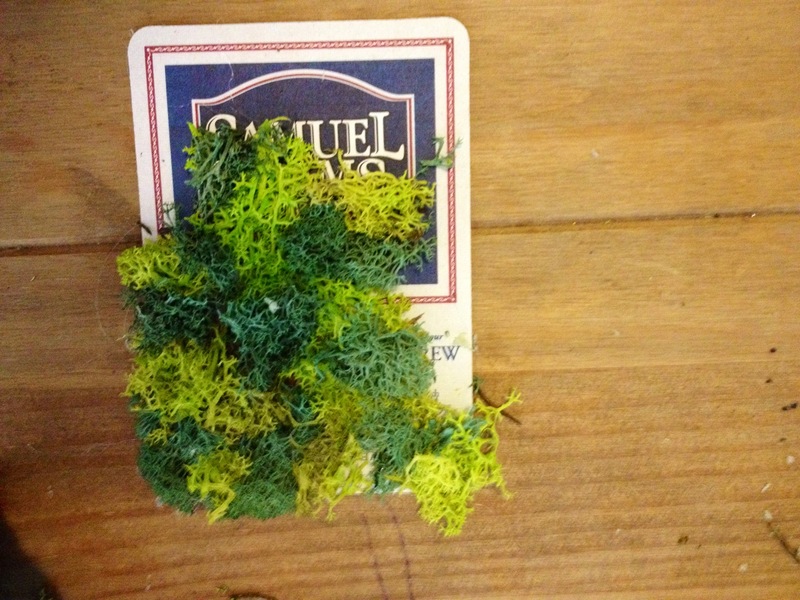 For this weeks post I decided to use left over moss I had from another project and free coasters I picked up from a bar last time I went down town. 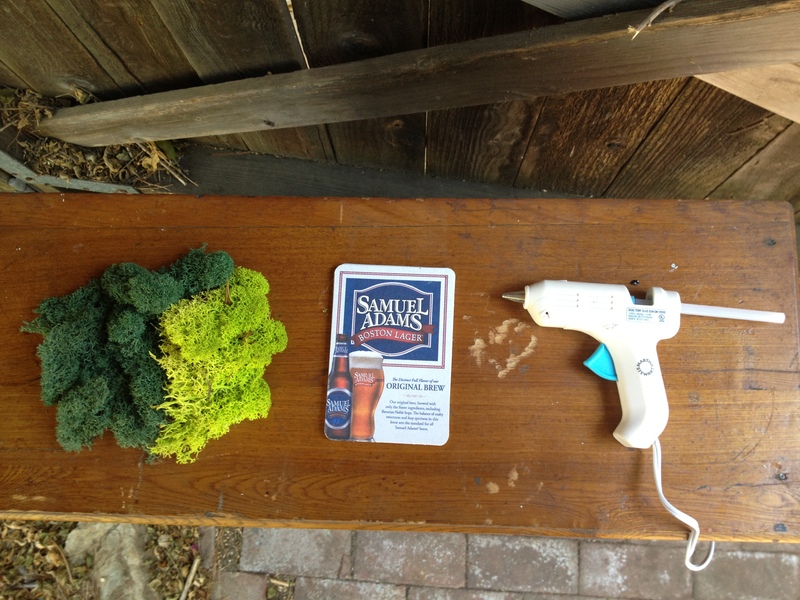 Essentially you could cover any object with this same method to add some green to your home. 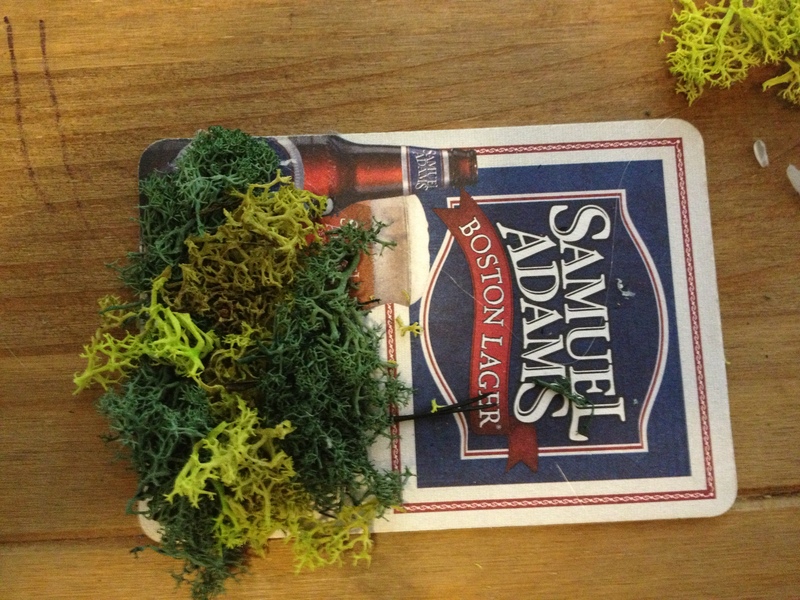 Coasters, most restaurants and bars have free ones you can pick up. 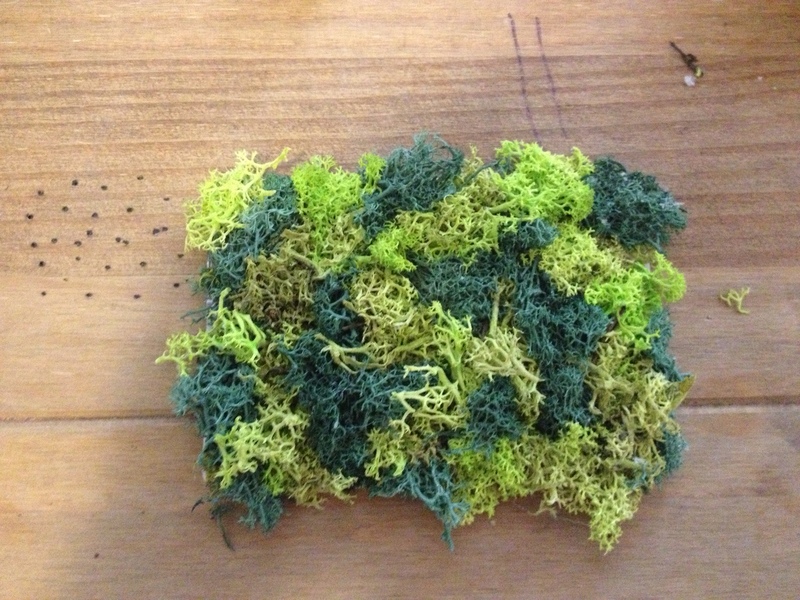 Moss, I used Preserved Reindeer Moss. 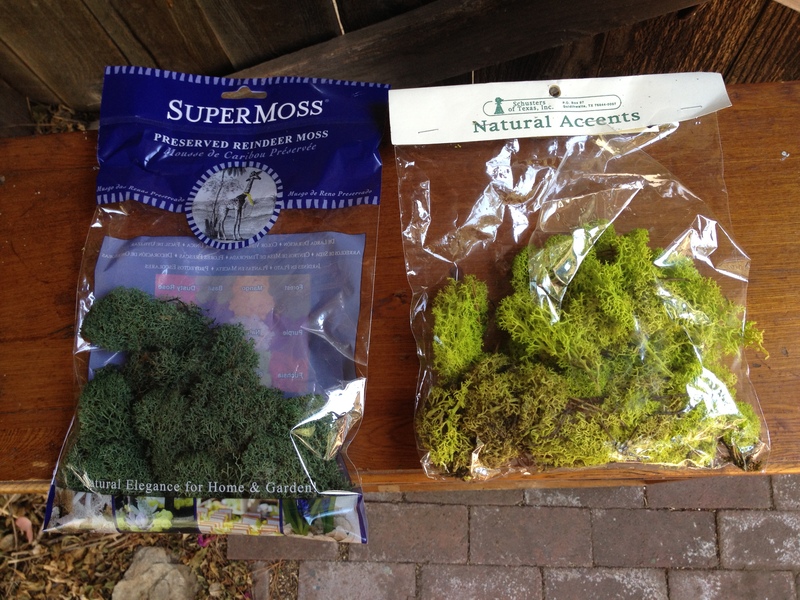 Moss can be expensive but I found both in the sale section at Marshalls for $5.00 each. 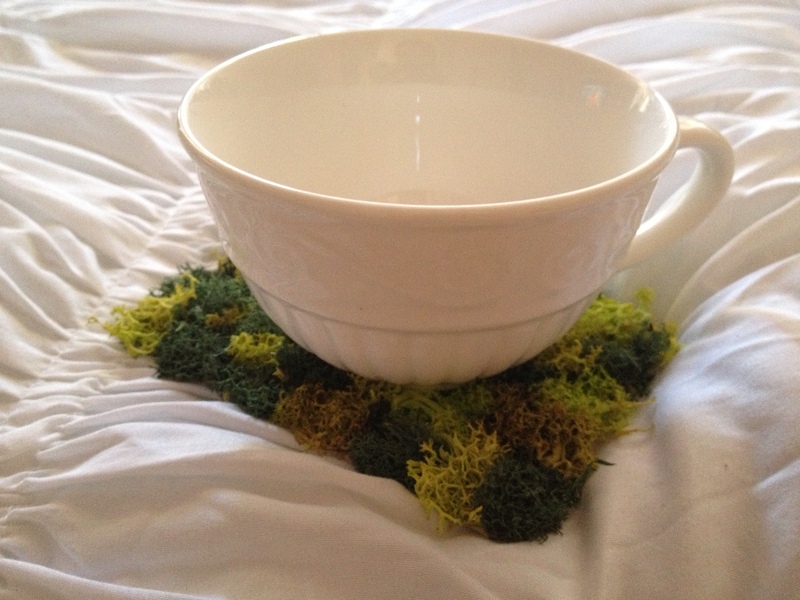 I recommend starting in one corner and then alternating between moss colors. I tried to keep glue dots about dime sized. Viola! 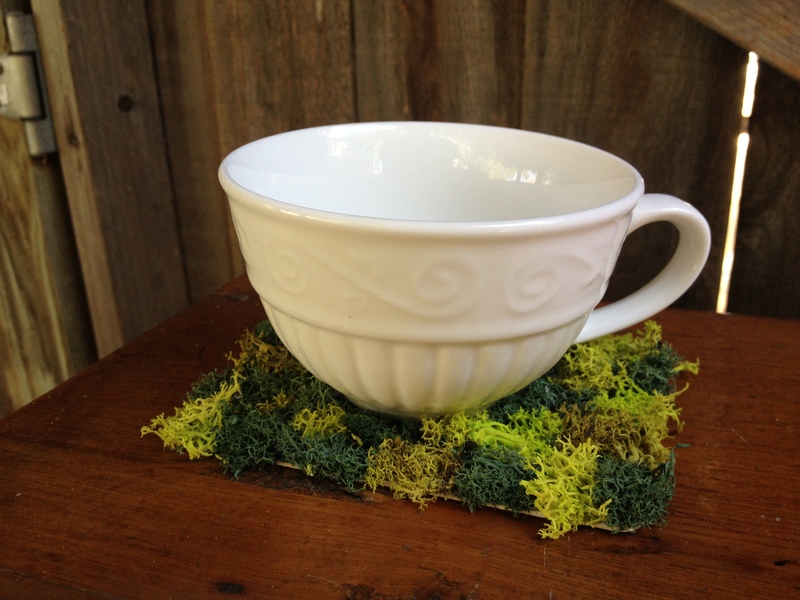 Super cheap and easy decorative coasters.